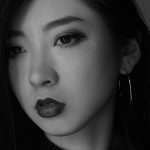 After successful releases from Maetrik, Shall Ocin, Daniel Watts, and ANNA, Clash Lion welcomes the exciting and most definitely upcoming talent from Japan, Risa Taniguchi with 3 tracks of. Formerly known as DJ RS, Risa is one of Tokyo’s most established underground artists via her performances on streaming platform Dommune and radio stations Inter FM and Rakuten FM, who already can claim Maceo Plex, Daniel Avery, Charlotte De Witte and Amelie Lens as supporters. Here, off the eponymous EP, ‘Ambush’ is dark and distorted, with a thundering and abrasive bass presence. The post Premiere: Risa Taniguchi – Ambush (Original Mix) appeared first on Deep House Amsterdam.